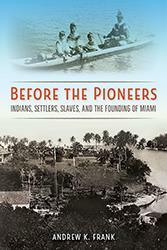 Books in this series provide lively introductions to a range of topics in Florida history. Written by established scholars, the books view Florida subjects in broader contexts and are designed to circulate widely in the spirit of public history. This series does not accept unsolicited titles. There is 1 book in this series.